4k Ultra-High Definition (U-HD) technology offers an impressively high resolution capability (3840x2160), compared to the most advanced HD (1080p) viewing standards available today. This translates to richer colors, greater vibrancy, and additional depth, that too at extreme zoom levels. 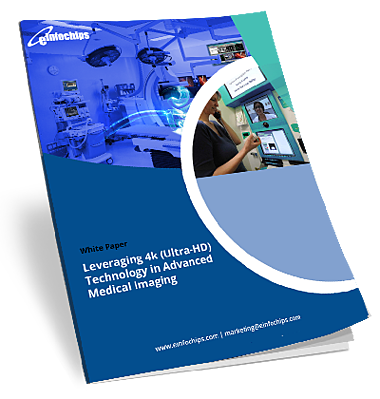 The advent of 4k has profound implications for hospitals and care providers in areas like telemedicine, as well as for diagnostic product companies dealing in X-ray machines, CT scanners, MRI/ultrasound systems and nuclear imaging systems.